One week ‘til Easter and still nothing booked? Call off the search – Oaks Hotels & Resorts has unlocked a collection of Last Minute Easter Breaks across Australia, stretching from Sydney to Melbourne, Brisbane and Townsville, starting from as little as $117* per night. So whether you’re looking to surprise the family over the school holidays, whisk your partner away for a four-day mini break, or just head off on a solo adventure, Oaks Hotels & Resorts’ Easter getaways are sweeter than ever. Book three nights or more at any participating hotel or resort for Easter stays between 23 March and 8 April, and enjoy up to 30 percent off, plus take advantage of a host of bonus extras when using promo code MYOAKS, including an early check in and late check-out, and free Wi-Fi. Hop into Brisbane this Easter for a city-cation jam-packed with all the sweet stuff – work your way through the epic dessert bars that line South Bank; walk it all off with a stroll through the City Botanic Gardens; shop up a storm at Queen Street Mall; or toast to the long weekend at one of the city’s sky-high bars. Base yourself at one of Oaks Hotels & Resorts’ most popular properties scattered throughout the city and its fringes. 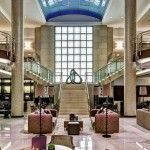 Starting from $117* per night, book three nights in a One Bedroom Apartment at Oaks Aurora Tower and enjoy 15 percent off, plus an extra 10 percent when using promo code MYOAKS. Or check into Oaks 212 Margaret or Oaks Woolloongabba from $119* per night, or The Milton Brisbane from $124* per night. If a Melbourne escape is on your Easter wish list, Oaks on Collins, Oaks on Lonsdale, Oaks South Yarra and WRAP on Southbank are all offering egg-ceptional last-minute deals for holidaymakers, starting from as little as $120* per night. Kick back in a contemporary Studio Executive and save 20 percent when you stay for three nights or more, plus an additional 10 percent when you use promo code MYOAKS. Time your trip to coincide with Melbourne’s cracking Easter Show from 30 March – 2 April, the iconic Melbourne Comedy Festival; or the city’s bumper AFL Easter weekend, with five crowd-pleasing games to choose from at the MCG and Etihad Stadium. Oaks on Castlereagh in Sydney’s buzzing CBD is calling all Easter holidaymakers to take advantage of its Last-Minute Easter Deals, starting from $148* per night for a Studio. Travellers will enjoy a 15 percent discount when they stay for a minimum of two nights, an extra 10 percent when using promo code MYOAKS, plus full access to the hotel’s premier leisure facilities, including a swimming pool, gymnasium and barbeque facilities. 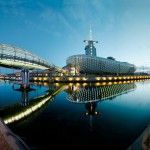 Sydney comes alive at Easter, with family-friendly events like the Royal Easter Show and the Great Centennial Park Egg Hunt, and the Easter Sunday Lunch Cruise all taking place within easy reach of Oaks on Castlereagh. For holidaymakers seeking laid-back, tropical vibes, Townsville’s popular Oaks Metropole Hotel is offering special Easter rates across its Studio Rooms from just $121* per night (minimum three night stay). Guests can relish TNQ’s balmy weather with a dip in the swimming pool; work out in the gymnasium; or grab a tasty bite from onsite restaurant, The Metropole Hotel, or set off to explore all that Townsville has to offer. 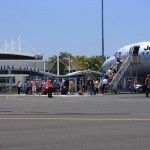 Cheer on local sporting team the North Queensland Cowboys; splash about at popular beachfront promenade The Strand; or take a day trip to the snorkelling and diving hot spot of Magnetic Island. To book, please visit https://www.oakshotels.com/en and enter promo code MYOAKS. *Terms and conditions apply; subject to availability; minimum two / three-night stay (dependent on each property). Prices correct as at 16th March 2018. Valid for travel from 23rd March until 8th April 2018.